Marketing for me has always been about never putting your eggs in one marketing basket, the mix is what it’s all about and finding multiple channels to drive engagement have always proved successful. A strategy where you can monitor results is safer and can justify a marketing spend but is that the only way? I am going to explore Above The Line and Below The Line advertising, the history, meaning, advantages and disadvantages. So what about this ‘Line’. Where did it come from? The terms ‘Above The Line’ and ‘Below The Line’ came into existence way back in 1954 with the company Proctor and Gamble paid their advertising agencies a different rate according to the activities the agencies undertook. ATL & BTL Agencies refer to two different styles of marketing agencies, especially in promotion marketing and communication. ATL stands for Above The Line, meaning that the advertising is going to be deployed around a wider target audience, e.g. television, radio, or billboards. 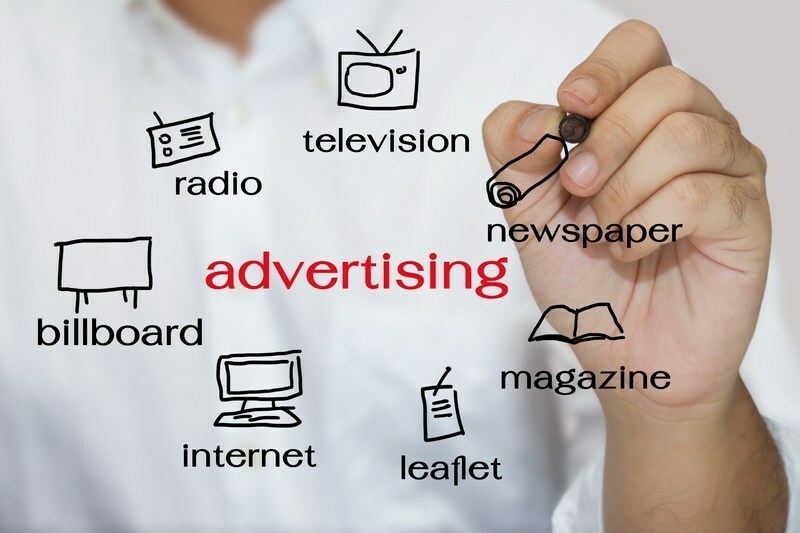 Below-the-line advertising seeks to reach a consumer, instead of a mass audience, directly rather than through an intermediary, such as with a commercial during a television show. This type of advertising is often centred on specific localities and is used to promote products that a consumer wants to see in person. It can be coupled with in-store sales to help explain the features of the product. Due to being much more focused, BTL channels drive conversions, get a direct response and can build customer loyalty. It is possible to tailor messages for particular segments of the market with relevant offers and information. 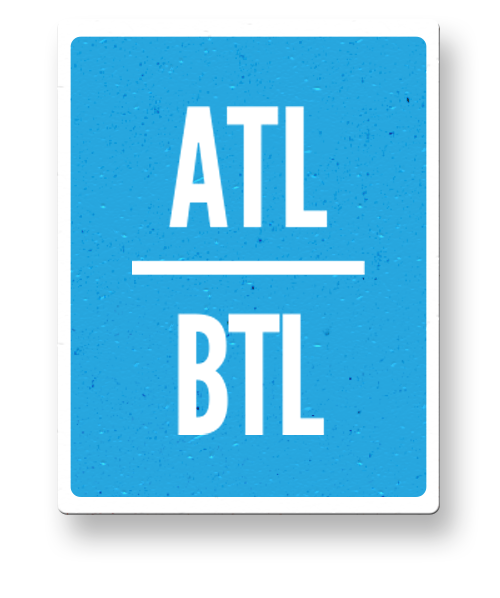 Unlike ATL, BTL is also highly measurable. This gives marketers an insight into the return on investment which can then be used to generate an even more focused and targeted BTL communication. With email campaigns, you can track the open rates and click-through rates, as well as identifying what users do once they click through. In markets where competition is high, customer loyalty is essential. So, being able to directly modify campaigns for existing or potential customers is key. Local sports team, venue or event sponsorship. Experiential activities, in-person demonstrations or sampling. SEM (search engine marketing) / paid search. POS (point of sale) promotion. Above-the-line advertising is designed to reach a mass audience, typically through mediums that reach large numbers of people at various levels of engagement. Perhaps the epitome of above-the-line marketing is a Super Bowl television ad, which costs millions of dollars for mere seconds of airtime. While this type of advertising reaches a lot of people, it is not focused, and many of the ad’s recipients are likely not target customers. 1) Reach – Implementing a strong ATL advertising plan can help the brand reach far and wide. Most of the banks as well as retail showrooms regularly advertise their reach via ATL media to entice customers to visit their showrooms. 2) Attention – With a combination of Audio and visual, the penetration levels of ATL media is higher than any other type of advertising. Television and radio literally demand attention through their creatives. Whereas newspapers have high involvement so that the customer does read through the ads also. Finally, out of home too, when placed properly has a huge impact on decision making and creating excitement. 3) Brand building – Any brand which wants a name for itself has to invest in brand building via ATL channels. Most of these brands start with Out of home advertising, then progress to Radio and print. And finally some of them might progress to TVC or will continue with the other media. Nonetheless, a brand cannot be built just by below the line marketing. Through the Line advertising (often referred as Through the Line promotion/ Through the Line marketing / TTL marketing / TTL advertising) involves the use of both ATL & BTL marketing strategies. The recent consumer trend in the market requires the integration of both ATL & BTL strategies for better results. Marketing strategies can be planned and carried out with an integrated approach of using both ATL & BTL advertising mediums to get the maximum advantage. Most of the marketing campaigns today are TTL campaigns.